The Dilapidated Marco Luethy Weblog - Weblog > Arc De Triomphe At Sunset. 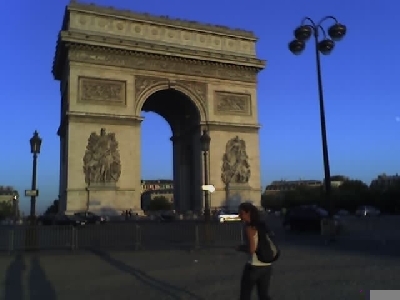 Arc de Triomphe at sunset. Whenever i see the Arc De Triomphe i'm reminded of that historic photo of Hitler conquering Paris, walking down Champ de Lyss..